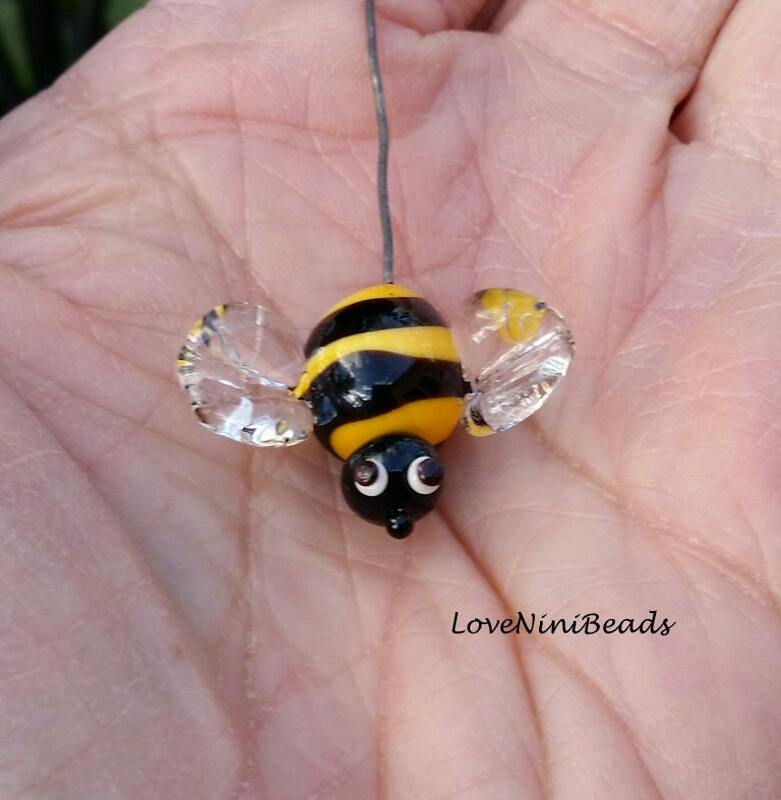 This Listing is for ONE Bumble Bee Glass Headpin worked on Copper wire. Headpins can be used either for Jewelry Making or in a Floral Design or just in a small vase like the last photo. (Vase is NOT included in this listing). Each has been created on Floral wire for easy manipulation yet are sturdy. Each piece is created one at a time so no two will be exactly alike. These are 'stock' photos and yours will be the same in color but each Bumble Bee, as in nature will be slightly different.